AMARILLO, Texas – March 2, 2016 – Alta Seeds, the premium brand of Advanta Seeds, a leading international supplier of proprietary crop genetics, will be the first seed company to offer herbicide tolerant sorghum to growers this season. Alta Seeds sorghum with DuPont™ Inzen™ herbicide tolerance trait withstands over-the-top nicosulfuron herbicide application, while conventional sorghum cannot survive. ADV G2250ALS herbicide tolerant grain sorghum will be distributed for trial use this season. The bronze, medium maturity hybrid is suitable for dryland and irrigated systems and has displayed excellent drought tolerance, seedling vigor and threshability. The plant stands between 42 and 48 inches tall with a mid-bloom of 66 days. The sorghum hybrid with the Inzen™ herbicide tolerance trait was developed under a joint agreement of Advanta Seeds with DuPont Crop Protection. The hybrid announcement follows recent EPA label approval of the active ingredients nicosulfuron and rimsulfuron for use in an over-the-top herbicide application on sorghum with the tolerance trait. Annual grass weeds reduce U.S. sorghum yields by approximately 20 percent, or an average of 13 bushels per acre. The Inzen™ herbicide tolerance trait offers the potential to stem those losses by allowing more effective control of key grass weeds, including foxtail, barnyardgrass, crabgrass and Texas panicum. 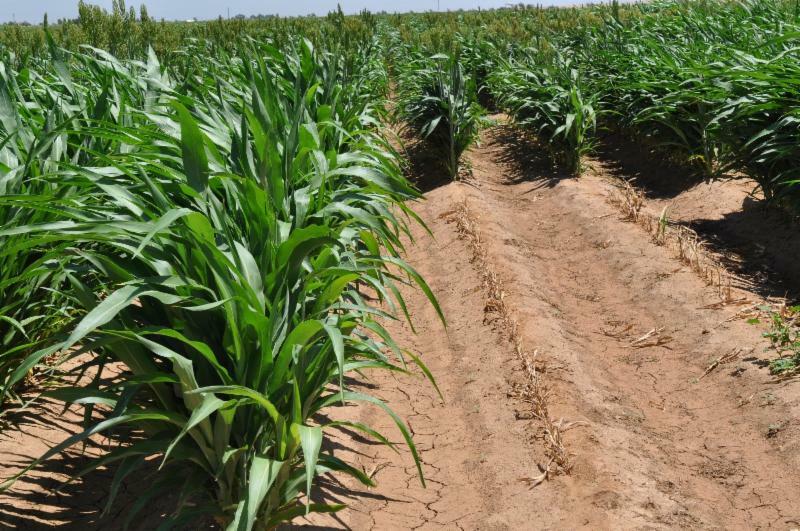 The introduction of herbicide tolerant sorghum will enhance grower flexibility in weed control for potentially improved yield and profitability. DuPont™ Zest™ will be a post emergent grass herbicide for this tolerant trait, but is not yet registered with EPA for use on grain sorghum containing the Inzen™ herbicide tolerance trait. The new sorghum hybrid developed with non-GMO sorghum genetics is the first of three Inzen™ products in the Alta Seeds pipeline with proven resistance to ALS herbicides. Advanta Seeds and DuPont Crop Protection are working closely with regulatory agencies and local seed and crop protection teams to develop a product stewardship plan for the new seed trait. Stewardship will be critical to maintaining trait sustainability. Alta Seeds provides growers with the latest technology and advanced genetics in grain and forage sorghum. For more information about Alta Seeds and its wide portfolio of sorghum products, visit AltaSeeds.com or call 877-806-7333. DuPont™ and Inzen™ are trademarks of DuPont or its affiliates.